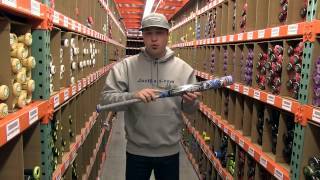 Watch and learn about Easton's newest line of BBCOR bats - the Power Brigade. This year Easton wanted to do something a little bit different. They've always had the goal of making bats that catered to all the different players' personal preferences and nuances at the plate. So this year they came out with the Speed and the XL. The Speed 2 is gonna be more of the balanced real balanced feel, smaller barrel, made for more of your contact hitter. The XL series is gonna be slightly more end loaded, because it has an elongated barrel, made more for your power hitter, but again there's so many different types of hitters out there and Easton wanted to provide a bat for each type of hitter. Make sure that they're put in a position to succeed at the plate. So basically what they did is they have what they call the XL-1, the XL2 and the XL3. They also have the S1, is2, S3. We got one of the XL model like we said was the bigger barrel. The S stands for the speed series. So basically on the S1 and the XL1 it's very comfortable to the elements of the past. It's a two piece pole composite. That and the barrel is composite uses their state of the art IMX composite. The XL2 and the S2 is very similar to the Surge, where you have a composite handle, alloyed barrel and the S3 and the XL3 are real similar to the Rivals, one piece alloy. But looking at the XL1 and the S1 and kind of what separates them from the pack and why would you buy these over other bats the in the Easton line or just other bats in general. You kind of have to look at the finer points. With all the rule changes we've seen over the last year, the playing field has really been leveled. The ball is gonna come off the bat pretty much at the same speed across the board. 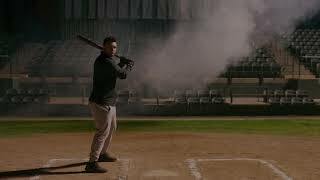 So what Easton did was try to look at some of the finer points, make one of the most comfortable swinging bats. Give the player the added confidence at the plate. So what they did with this bat with a twopiece design. Here you have very little vibration. The ball is going to jump off. The XL model the barrel is going to give you one of the biggest sweet spots in the market. So instead you don't necessarily see a better performance it's all more about comfort, swing speed, it'll just give you a large sweet spot to make sure you can get contact on the ball. Looking at what kind of player would be interested in the S1 or the XL1, I guess I'll start the XL1 is definitely going to be made for you power hitters with the extended barrel you are going to have a little bit more weight out on the end of the bat. It's going to make it a little bit more difficult to swing. And you're going to have to be a really strong player to be able to keep the bat level through the zone. Look at the S1 that whole concept behind the speed series a very much more balanced bat. It's going to make it easier to swing. The balance point is going to be closer to the handle. So it'll make it easier to keep the bat level through the zone. 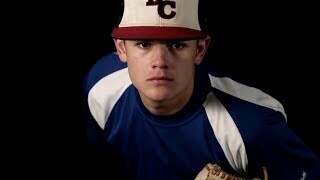 Me as a former baseball player, I can confidently say that this is going to give you an edge over the competition. Just with the science and technology that Easton has put into this bat it makes it like no other bat on the market right now. And you know going into the place with that added advantage is only going to help you increase your batting average, really approach the good power numbers. But these bats are just the state of the art, top of the line, can't go wrong with them. 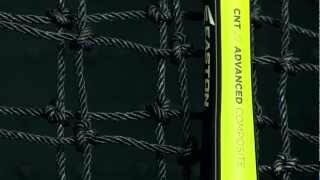 You can check out the entire Speed series and XL series from Easton at JustBats.com.